Deep Dark Woods (Canada) see: Samples etc. 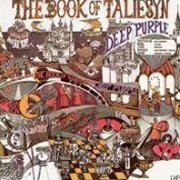 Deep Purple's second album, The Book of Taliesyn (named for a collection of Welsh legends), was a major leap from their debut, Shades of Deep Purple (***), containing material as adventurous as Wring That Neck and Shield that they would never have tackled (or probably been allowed to tackle) earlier. Admittedly, it also 'features' some dodgy covers, not least Neil Diamond's Kentucky Woman and The Beatles' We Can Work It Out, although Ike & Tina Turner's River Deep, Mountain High has a fantastic, several minute proto-prog intro, making the actual song, bombastic though it is, sound rather prosaic in comparison. Rod Evans' cabaret vocals were clearly already hanging around the band's collective necks like a bouffanted albatross, although he lasted one more album, the following year's Deep Purple (***½). Jon Lord used a Mellotron for the first time on Anthem, with a strings part before the real strings later in the song, although that was it for the next five years, despite Lord's symphonic ambitions, realised (poorly) on '69's Concerto for Group and Orchestra (**½). 1973 brought Purple's second major lineup shake-up, oddly enough, both changes being in the vocalist and bassist department; so, Gillan and Glover out, Coverdale and Hughes in. 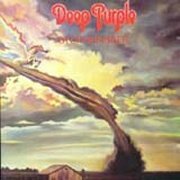 The story goes, Glenn Hughes left Trapeze for Purple on the understanding that he'd reprise his bassist/lead vocalist role, and was more than a little miffed to find that they'd also recruited the previously unknown David Coverdale to sing lead, leading to the uncomfortable compromise of both men singing lead at different points, with much harmony vocal. 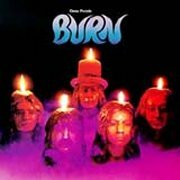 Anyway, Burn was the first result of the new lineup and like '72's Machine Head (****½), was recorded with the Rolling Stones' mobile in Montreux, although under less trying circumstances. Unfortunately, it also suffers from that album's poor sound and lack of dynamics, as do most of their studio albums, with the extremely honourable exception of 1970's stupendous In Rock (*****), with live versions invariably crapping on their studio counterparts. Burn contains two cast-iron classics in its title track and the slow-burn blues of Mistreated, but there aren't actually any dogs on the album, even including lesser-known efforts such as Sail Away or What's Goin' On Here. Lord's keyboards expanded from his faithful Hammond to include occasional ARP synths and, on closing instrumental "A" 200, to my surprise, a few Mellotron string pitchbend swells, although hardly enough to qualify the record for Mellotron Album status. Stormbringer turned out to be Ritchie Blackmore's swansong for Purple (at least in that decade), before he sloped off to form Rainbow and listening to it, you can see why. The band was essentially being hijacked by new boys Coverdale and Hughes, the latter's soul and funk influences making themselves apparent on tracks like Hold On and You Can't Do It Right. Saying that, it's not all bad, with the title track and Lady Double Dealer proving to be live faves, although the album's pretty ropey overall. Now, I'd never even considered that Lord may have used a Mellotron here, although I've been alerted to the fact that he layers 'Tron flutes all over the album's probable best track, closer Soldier Of Fortune, later to be Coverdale's vocal tour de force with Whitesnake, before they went down the shitter. Actually, that may be Mellotron strings, too, but the flutes are a definite. So; I really can't recommend Stormbringer to Deep Purple fans, or anyone else, frankly, although Burn is definitely worth hearing, as is, maybe surprisingly, The Book of Taliesyn. However, none of them are really worth it on the Mellotron front. Despite beginning his singing career in childhood, Alabama native Sam Dees was nearly thirty when Atlantic released his debut long-player, The Show Must Go on, in 1975. 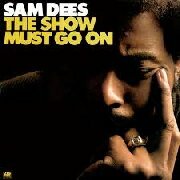 The bulk of the album consists of the expected soft soul (though nowhere near as anodyne as the Philadelphia soul of the era), although two tracks, six-minute opener Child Of The Streets and What's It Gonna Be, show a harder, funkier side to Dees' sound. Coincidentally (? ), the album's two highlights are also its two Mellotron tracks (player unknown - Dees himself? ), the former opening the album with a murky flute melody, before sliding into a 'string section substitute' string part, while the latter features unison strings and cellos, with a flute melody riding over both. While not worth a purchase for the Mellotron alone, both tracks are worth hearing for the aficionado, while the album itself seems to be an above-average example of its style. Def Leppard (UK) see: Samples etc. 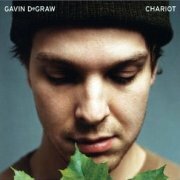 Gavin DeGraw is a mainstream US singer-songwriter, albeit one considerably less offensive than the likes of, say, the horrible Daniel Powter and his ilk. Saying that, his first studio album, 2003's Chariot, isn't something I'll be listening to again in a hurry, although at least it didn't actually (particularly) offend me. Patrick Warren does his usual Chamberlin thing, with strings on Just Friends and Over-Rated, although, as ever, low enough in the mix that it's difficult to work out if that's actually what you're hearing. Anyway, passable modern singer-songwriter stuff, as far as that goes, with a rocky edge in places, but no classic, either for its songwriting or its tape-replay use. 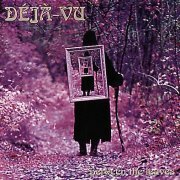 Déjà-Vu, including ex-members of Høst, released just the one album, 1976's Between the Leaves, although it was apparently completely unknown to collectors before its 1995 CD issue, having only ever appeared as a sleeveless test-pressing at the time. Given how many mediocre to downright appalling records are given a commercial release, the fact that this came close to disappearing for good is close to criminal. I'm not saying it's a lost classic, but it's a good heavy prog album in a mid-'70s style, with several stretched-out compositions featuring decent keyboard and guitar work. One major anomaly, though, is its length; was the original vinyl really 55 minutes long, or do we have some 'bonus tracks' here? No point arguing, as there are no duffers on board, although some of the individual tracks are a little overlong. Harald Otterstad is credited with Mellotron, but until the dying seconds of the album, it seems to be a misnomer, as he sticks chiefly to string synth, monosynth and Clavinet, with a little Rhodes thrown in. Then suddenly, just as all hope is gone, a triumphal choir part enters within the last 90 seconds of final track Visions Of Nirvana, in the manner of the cavalry riding over the hill. Anyway, definitely worth a purchase for fans of the genre/era, but don't go expecting much Mellotron. 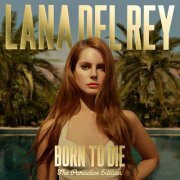 Lizzy "Lana Del Rey" Grant is a lightweight American singer-songwriter of the 'relies on her looks' variety. Harsh? But fair. 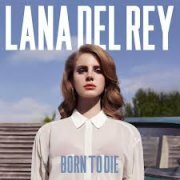 2011's Born to Die was reissued the following year as Born to Die: The Paradise Edition, adding a second disc containing another eight tracks, as if the original twelve weren't enough. The harp-driven Video Games is about the least bad thing here, while particular horrors include the 'go on, beat me up' lyrics to Off To The Races (sample lyric: "He loves me with every beat of his cocaine heart") and (to pick one almost at random) Million Dollar Man. The second disc tries its damndest to be all dark and European on Body Electric and Gods And Monsters, but spoils it with string-laden slush like Blue Velvet and Bel Air. Patrick Warren plays orchestral-ish Chamberlin strings on Dark Paradise to passable effect (with something tape-replay-like on Radio, presumably sampled), although I can't imagine that anyone wouldn't have noticed had they been real, while Warren and Rick Nowels are both credited with Mellotron on Body Electric on disc two, which makes it all the stranger that it's completely inaudible on the track. Still, you really don't want or need to hear this, anyway, so it's hardly an issue, is it? Ilse DeLange (Netherlands) see: Samples etc. Vincent Delerm (France) see: Samples etc. deLillos (Norway) see: Samples etc. Delirious? (UK) see: Samples etc. 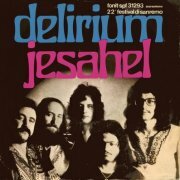 Delirium (not to be confused with any other band of the same name)'s first album, Dolce Acqua, was pleasant enough folk rock, if a little uninspired, but they were moving towards getting the mixture right by '72's Jesahel single and its jazzy flip, King's Road (had this lot been to London?). Mellotron on both tracks from Ettore Vigo, with repeating strings chords on the 'A' and brass and major string parts on the other side. 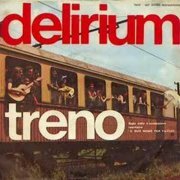 The same year's Treno b/w E L'Ora (or possibly the other way round; it's rather unclear) is a somewhat lesser effort, Treno being a jaunty folk/pop tune, while the flip's an undistinguished ballad. On the Mellotron front, the 'A' features a fat brass part, with upfront chordal strings towards the end, with background strings on the flip. All four tracks are available on 2005's '71-'75, which appears to fit the band's complete works onto a two-CD set. The same year's Lo Scemo e il Villaggio has a far more Jethro Tull-influenced sound, with distinctly Anderson-like flute leads. The band led a dual existence, juggling non-album commercial hits with their more serious LP material and the occasional leak from one style to the other is in evidence here, notably on La Mia Pazzia. Much of the album is laid-back folk/prog, but when the band let rip, as on the sax-driven Culto Disarmonico, they display interesting jazz sensibilities that are quite out of kilter with the rest of their material. As for Vigo's Mellotron, Villaggio has brass and strings, also possibly flutes alongside the real one, while all other highlighted tracks feature excellent, full-on string parts. Hard to pick out individual 'Tron highlights, suffice to say it almost gets full marks. 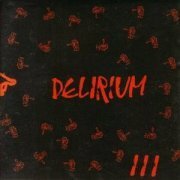 It took the band two years to produce Delirium III: Viaggio Negli Arcipelaghi del Tempo and while it's reasonably good, it suffers from the same musical schizophrenia as its predecessor, mixing, folk, pop, funk and various other styles, not always in an especially pleasing manner. The album's swamped in orchestral strings and although Vigo's credited with Mellotron, all I can hear is the actual string section, with some rather cheesy arrangements too, I'm afraid. 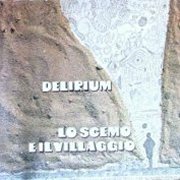 If you're going to buy one Delirium album, there's really no contest: Lo Scemo e il Villaggio it is. Incidentally, the band have reformed, releasing the rather good Il Nome del Vento in 2009, with credited Mellotron, although it turns out to be samples. Boo, hiss. Foivos Delivorias (Greece) see: Samples etc. Although Fabienne Delsol is, unsurprisingly, French, her career is exclusively British, based around famed all-analogue London studio Toerag and owner Liam Watson (hi, Liam). After two albums with garage revivalists The Bristols, she went solo, 2010's On My Mind being her third release, containing an appealing mixture of mid-'60s beat and balladry, top tracks including the Farfisa (? )-driven Ragunboneman, the sparse title track and heartfelt ballads And I Have Learnt To Dream and closer Strange Shadows. The studio hired my M400 early in 2010 and, although I had no idea what session it would be used on, I can only presume it was this one. Ed Turner plays it, with a lovely flute part opening the title track, running throughout, more muted flutes on Pas Adieu, what sounds like violas (I know, I know, they're my tapes) on And I Have Learnt To Dream and, finally, flutes and wobbly strings on Strange Shadows. Oh dear, is that my Mellotron? So; an album locked, as is the studio, in 1965, which is by no means necessarily a bad thing, with a decent helping of Mellotron. Which is no bad thing either. Deluge Grander (presumably a pun on 'delusions of grandeur') rose from the ashes of the Maryland-based Cerebus Effect in the mid-2000s, presumably with the intention of moving away from the fusion area. 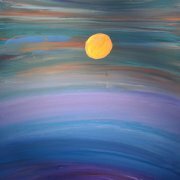 Their third album, the download-only 2014's Heliotians, actually flirts with fusion in places, notably on the twenty-minute Reverse Solarity, the other two tracks being closer to what passes for the progressive mainstream, US-style. The band's Bandcamp page credits Dan Britton with Mellotron, thanking known M400 owner Ilúvatar's Jim Rezek; after all, who, in 2014, would thank someone for a sample set? It's used on all three tracks, unsurprisingly, with lovely upfront strings about six minutes into opener Ulterior, followed by a flute line and chordal choirs, a strings wash and another flute line on Saruned and more chordal strings on Reverse Solarity. Due to the band's usual sample use, I've had this in Samples etc. for a while. Am I deaf? Anyway, while maybe not quite as good as its predecessor, The Form of the Good, this is definitely worth a punt. 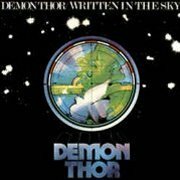 Demon Thor are often listed as being German (Munich, specifically), though I believe I'm correct in saying the band were actually an Anglo-Swiss effort, with two British members in Tommy Fortman and Geoff Harrison. 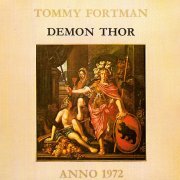 As far as I can work out, they debuted with 1972's Anno 1972 (credited to Tommy Fortman/Demon Thor), a middling rock/pop album of considerable averageness with few outstanding features, certainly not deserving of the 'progressive' status it seems to've gained retrospectively. Stephen Nuesch plays Mellotron flutes and strings on Good Old Oak, strings on Groovy and brass and choir on closer The Army, although that shouldn't be taken as any sort of recommendation. Anno 1972's pretty dreadful, aside from its 'Tron content, and as for Written in the Sky, while side one's a total 'Tronfest, the music isn't actually that great and side two is largely rubbish, knocking the album's star rating down noticeably. If you want that full-on 'Tron thing, though (and who doesn't?! ), this just might be worth a flutter. Lyubomir Denev Jazz Trio (Bulgaria) see: Samples etc. 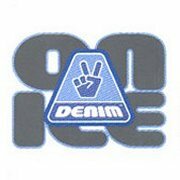 What on earth can I say about Denim on Ice? Denim were Lawrence (Hayward)'s second project, after the much-vaunted Felt, and, at least on their second album, are best described as, er... '70s-obsessed electro-glam? After Felt's ethereal Cocteaus-esque soundscapes, Denim come as something of a shock, with Lawrence's upfront vocals and bizarre, Brit-centric lyrics; hands up who doesn't know what a lorry is? Loads of references to very peculiarly British things: council houses, the job centre, Mrs. Mills, beermats, the NME... Synthesizers In The Rain's spot-on Visage piss-take, Ducks Deluxe and Wreckless Eric namechecks, the Glitter Band's Pete Phipps and Gerry Shephard guest... Wot - no Alvin Stardust? Shame on you, Lawrence. The story I was told is that r.m.i. 's Duncan Goddard was asked to bring his Mellotron along to a session, which he duly did, as well as playing Moog on the album. Plenty of string synth, but I'm only certain I can hear the 'Tron (played by a certain Pete Z) on two tracks, with a few choir chords on Mrs Mills and Don't Bite Too Much Out Of The Apple, but nothing you can't actually live without. Anyway, a surprisingly good, witty album, but not one for the 'Tron fan in your life (what, you have a life? I don't. Oh, you noticed). Worth picking up. Oh, and Lawrence's latest project is called Go Kart Mozart; anyone not spotting the reference has to stay behind after school and write a hundred lines. n.b. Duncan has expanded considerably on his studio experience, though much of it is probably libellous. It sounds like a bit of a nightmare all round, with Lawrence obsessing over particular sounds, then recording the first thing played over a track and insisting on keeping it. Glad I wasn't there.